Just to get the most pertinent of introductions out of the way: B2B (business-to-business or e-biz) refers to the occasion of a business offering its products and services to other businesses, while B2C (business-to-consumer) refer to instances of a business offering its products and services directly to the consumer. In other words, B2B ventures caters to businesses as their customers, while B2C ventures cater to consumers as their customers. And, while these terms (i.e., B2B and B2C) refer to both offline and online businesses, the terms had only come into use during the dotcom boom. 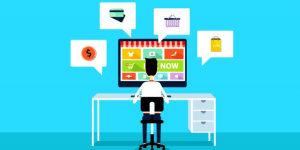 Now, most ecommerce websites generally follow a B2C model. But there are also enough online ventures out there whose main target customers are other businesses. And, while B2C and B2B obviously will have some similarities, the approach that is needed to run either is, predictably, pretty different. However, considering the rising levels of customer-engagement that is possible today, there are factors that are overlooked when it comes to B2B, simply because these factors seem inherently more suitable for B2C. But that’s a grand oversight. In fact, merging the following three factors into the running of your B2B ecommerce business could very well spell the difference between your venture’s success or failure. The last thing any business wants to seem is unprofessional or amateurish. And for good reason. Giving either of the two impressions to customers, especially when you’re a B2B ecommerce business, is a sure-fire way to lose potential customers. However, there is a strong misconception that appearing casual, friendly, or personal in one’s interactions with other businesses is equivalent to appearing unprofessional – which is definitely not the case. Now, chances are that if you were running a B2C business, you would be adopting a light-hearted and casual tone to connect with your individual customers as the norm. Because it’s pretty obvious that people prefer to do business with those they feel connected to. However, as, in running a B2B business, you are trying to reach out to other businesses, you will most likely adopt a formal, detached tone with plenty of jargon and marketing-based overtures, thinking that this is what your business customers will appreciate. After all, your customers are businesses, not individuals. So it is obvious that you can’t employ personalization and should rather treat them as a mechanical unit, right? For you see, although in a B2B your customers are not individuals, it does not mean that it is absent of “people” either. Businesses, in fact, are made up of people at its very core. And as a B2B, you should not forget that. 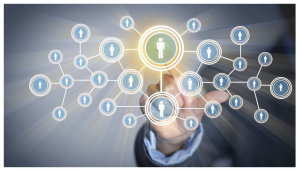 Because, even in a B2B, your business customers will be more likely to want to do business with you if they feel like you’re connecting to them. In fact, leave off the annoying business jargon and blasé marketing terms in your communications; they don’t work anymore. Rather, try for light and casual, with friendly overtones that make it clear to your customer that their business is important to you. In short, your customers will be much more receptive (and more likely to continue doing business with you) if you take a more personalized approach. In storytelling, one common piece of advice is that what the audience will remember the most about a story is it’s ending. And the same advice can be applied to B2B ecommerce in a sense as well. Only here, the “ending” refers to the final stage of a business placing an order with your B2B: the shipping and delivery of the ordered product(s) or service(s). 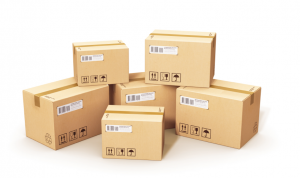 However, while most B2Bs spend a lot of time optimizing all their other processes, the shipping and delivery aspect is what is most often overlooked – which can often trigger a business pulling away as your customer. In fact, statistics show that a lack of reliable and affordable shipping options is what makes B2Bs lose the most number of customers. For, up to 61% of businesses have indicated that they have abandoned a cart because of unexpected and ill-affordable shipping costs. And up to 50% indicated their orders not qualifying the minimum requirement for free shipping being the reason they abandon their carts (and as B2Bs usually run as wholesalers, the minimum requirement set for free shipping is an important aspect to consider). Thus, re-organizing your shipping and delivery options to be affordable and reliable for your customers will greatly reduce customer abandonment of your carts. 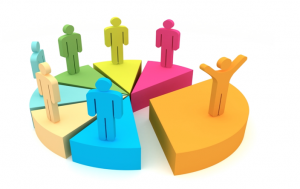 The segmentation factor is directly tied to the personalization factor mentioned earlier. In simple terms, segmentation here means categorizing your buyers (i.e., customers) based on various factors like price, timing, etc., while also categorizing your buyers, according to demographics, size, business needs, order volumes, and the likes. Basically, segmentation will allow you to personalize your B2B approach for various buyer categories, thereby intriguing them towards higher levels of engagement in your business.